Want a tutorial and to know where I got the inspiration? Hop over to Busily Spinning Momma! 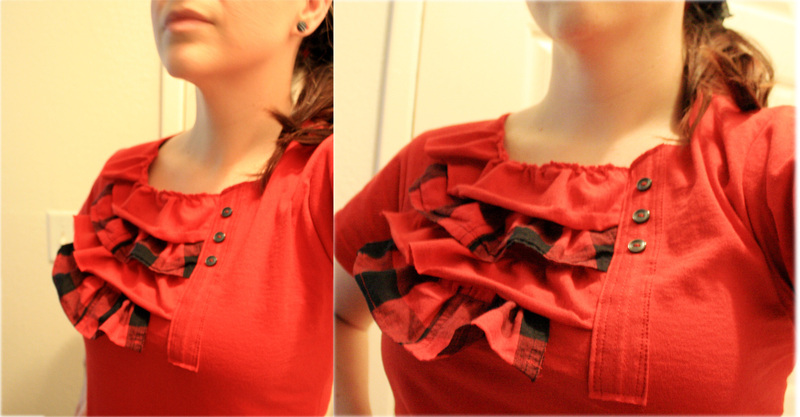 She wanted to replicate the shirt from Anthropologie and included step by step picture instructions. The adorable Mommy By Day Crafter By Night replicated the shirt as well and made one with a few cute changes.